Back and front album cover for "The Dark Side of the Moon"
In 1973, Pink Floyd released their eighth studio album, and the world would never be the same. 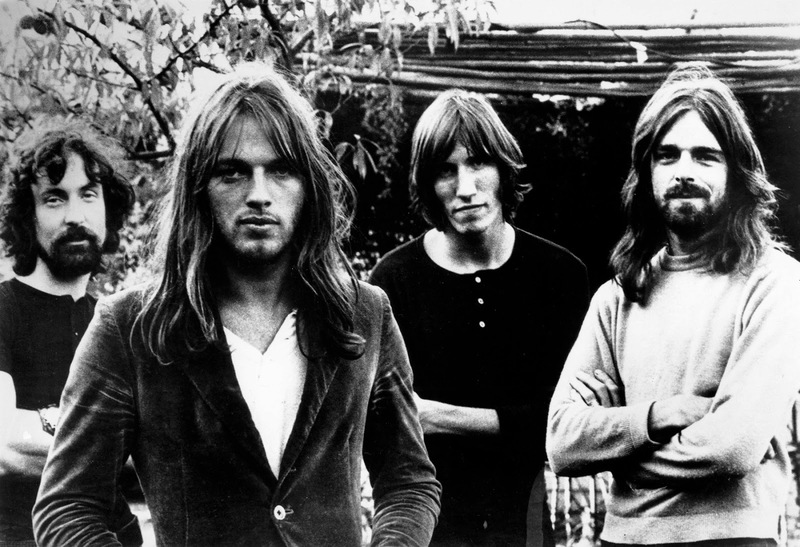 The album included band members Roger Waters (bass/vocals), David Gilmour (guitars/vocals), Richard Wright (keyboards), and Nick Mason (percussion). Founding member Syd Barrett had since left the band, but his influence (both musically and thematically) were intact. It was the first time Floyd were able to break through their experimental psychedelic-rock category and find a perfect balance between art and commercialism. Prior to "Dark Side" Floyd albums were hard for the general audience to appreciate. Though die hard fans will agree their previous work still stands the test of time and exemplifies the art of experimentation, especially on albums such as "A Saucerful of Secrets," "Atom Heart Mother," "Meddle" and "Obscured by Clouds". "The Dark Side of the Moon" has been praised for decades, and has been the topic of many documentaries. It has also been included on endless top lists. Various artists from various genres have covered songs from the album; some have even covered the entire album. It has been hailed by critics, fans, and most of all, by musicians. It could easily be one of the most influential albums of all time. It seems every generation eventually discovers the album, and aging fans like myself re-discover it with a new appreciation every year. There's so much detail and coverage about the album that there can be no definitive article for "Dark Side." To learn everything about the album, a fan must seek out a plethora of reviews, articles, and documentaries in order to scratch just the surface. However, in 2003, the "Classic Albums" television series featured "Dark Side" on their show entitled "The Making of The Dark Side of the Moon". The episode is an excellent source of content, and includes interviews with all the band members, sharing their humble opinions and behind the scenes of the recording process. The episode reexamines each track while listening to the individual layers within. One note made is the fact that the album was created during analog days. In other words, there were no computers or digital looping software to produce what the band created "by hand". The track "Time" begins with a multitude of clocks ticking and then chiming in unison. This would be extremely easy using a computer program such as ProTools by simply lining up the individual recorded tracks on the software's timeline. But at the time of the album's release, they were still recording on tape, which meant they had to line up physical tapes and back time them the best they could, one at a time. One of the most interesting aspects of the album is the manner in which it is presented. With the exception of the space* between the tracks “The Great Gig In The Sky” and “Money,” all the other songs crossfade into one another. (*This space was necessary to divide the album into two sides of a vinyl record). At first, it may seem annoying, because listening to the individual tracks on their own won't work because the head or tail of the song will be abruptly cut off. But perhaps it was the band’s intention. After all, “Dark Side” is best heard as a whole, allowing each track to drift from one thought and emotion into another. The album starts with “Speak to Me”. 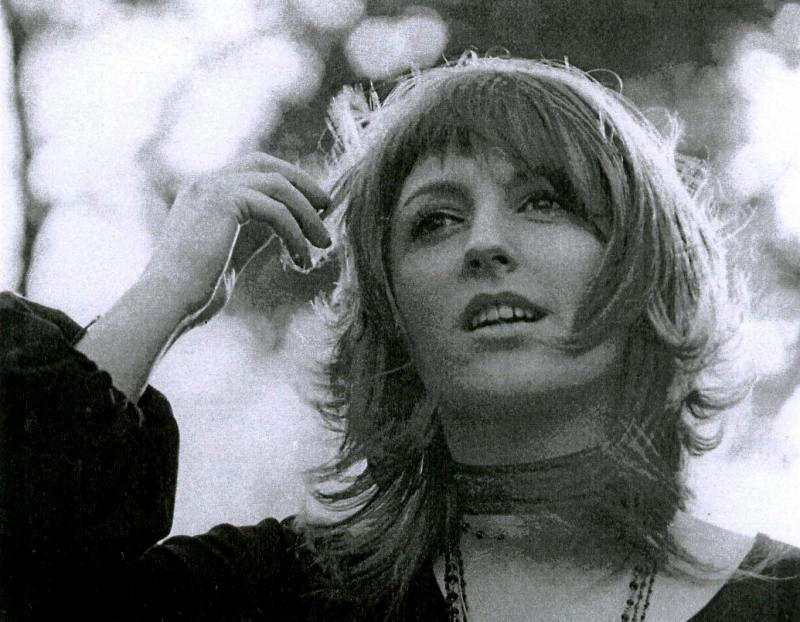 Quietly, a heartbeat begins the track, and if you pay attention a bit of each track on the album can be heard within the song, ending with the voice of guest singer Clare Torry. It’s the mixing of all these tracks into one introductory song that bring the audience into the experience of “The Dark Side of the Moon”, an experience that will no doubt leave them with a mixture of emotions. Which brings up my favorite aspect of the album: the emotional intensity. It's not just an experimental album for the sake of experimentation. Each note, each strum, each element is precisely included to add feeling. And the album's emotions range from pain to anger to desperation to hope to peace, sometimes all within a single track. Listening to "Dark Side", it's clear that the album's unifying tracks were created by a unity of men. All four members played to each other’s strengths and ran like a well-oiled machine. And despite the incredible work yet to come, especially their 1979 album "The Wall," no other Pink Floyd effort would ever contain this much unity within the band. And though the band is worthy of all the praise for the production of this album, they also owe much to the people who helped create “Dark Side”. 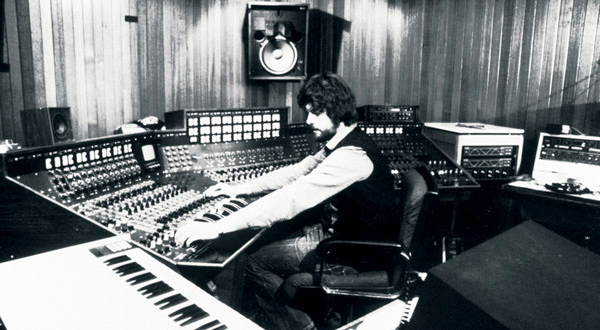 There were many involved, but it’s most necessary to mention their engineer, Alan Parsons, who was nominated for a Grammy Award for "Best Engineered Album, Non-Classical". The album’s production value remains comparable to any of the best-produced albums of any era. 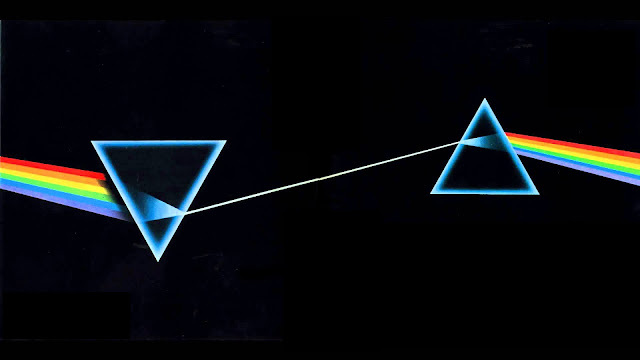 There are so many elements and trickery mixed throughout the album that “Dark Side” has been re-released on various sound formats, including SACD (Super Audio CD) which was created to allow the listener to experience all of the mixing techniques as intended by the band. And though it’s generally accepted practice to listen to music loudly from speakers, I highly recommend that you listen to “Dark Side” using ear buds. So much more comes through, and the songs you thought were already great will be raised to a level of absolute astonishment. 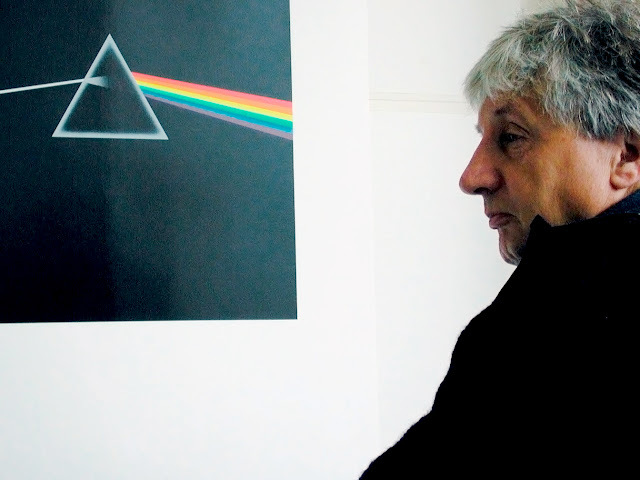 Storm Thorgerson, the artist who is credited for creating the iconic album cover, also deserves notable mention. It’s a seemingly simple design. Using a prism reflecting light into a spectrum of color over a black background fulfilled both the simplicity the band wanted for the cover as well as a nudge to Pink Floyd’s infamous light shows. And like the music, the cover art, too, has influenced artists and imagery all over the world. And because the album is so cinematic, it’s no wonder the strange myth that “Dark Side of the Moon” was secretly created for the 1939 film “The Wizard of Oz” has endured for so many years. Of course this myth has been discredited several times by the band, but as an experiment, it's interesting to line up the beginning of the film with the entire album. (My understanding is to begin “Dark Side” after the third roar from the MGM lion.) At points there are similarities in themes, music, and visuals. It’s not hard to wonder why the myth exists, but it's curious to discover how it was started. In other words, who first synced up the movie and album, and what made them even try it? To express the perfection of each track on “The Dark Side of the Moon” would be impossible. It’s best to express merely that the album should be appreciated as a whole, which is fitting since the album really should be heard in the same manner. For more information, visit Pink Floyd’s official site: www.pinkfloyd.com. And to preview the album visit iTunes. TRIVIA: The track “Money” mocks the obsession of greed and consumerism, and is, ironically, the most commercially successful single from the album.